A big Whisky tasting evening tonight here at Nicola’s on this Thursday the 20th September 2009. All in attendance were the Whisky Boys of course (Jim, Dougie and Nicola) together with our guest tasters Bruce (our American Ambassador) James a Royal Navy Officer and Sub Mariner together with his wife Lee who is also Royal Navy but retired. So we had a very appreciative gang of Whisky lovers, all ready, willing and able for some tastings of the wonderful Auchentoshan Single Malt. 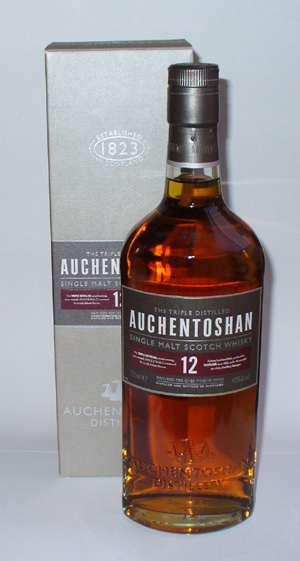 Auchentoshan Whisky – Single Malt Scotch Whisky Aged 12 Years and Triple Distilled. 40% Alc/vol. 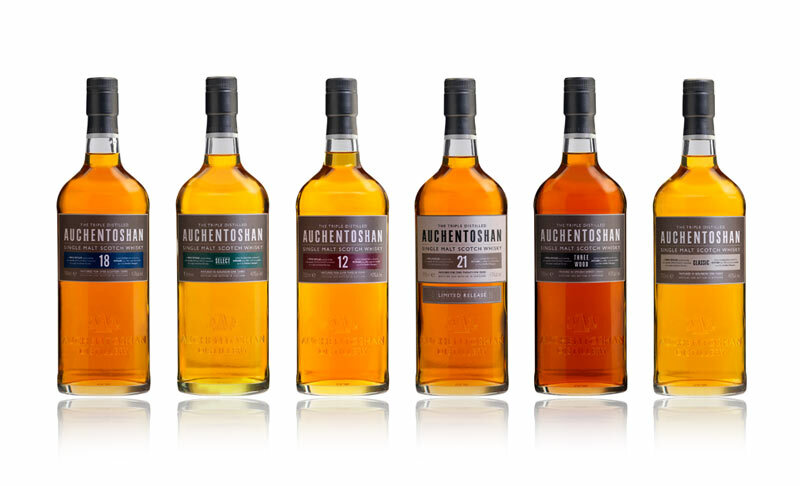 Auchentoshan Distillery – home to Scotland’s only triple distilled single malt whisky – is extending its premium product range and unveiling a new stylish look to match its urbane, smooth character. 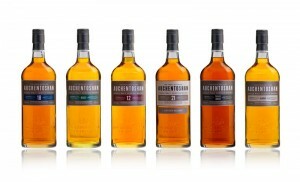 Available from June 2008, the distillery has created a range of different tastes that can be enjoyed on a variety of occasions. The taste profile is soft, delicate and zesty – perfect for new whisky drinkers or established single malt drinkers in search of a new tipple to add to their repertoire. The new range introduces new expressions – Classic and 18 year old while 12 year old, Three Wood and 21 year old will feature the new look which is the first major revamp in more than 12 years. Pale gold in appearance, Classic offers a nose of vanilla and coconut with a hint of green apple and a tang of citrus zest. The rich and creamy expression presents a sweet vanilla cream palate with a hint of fresh green apple and mint with a fresh floral, zesty finish. 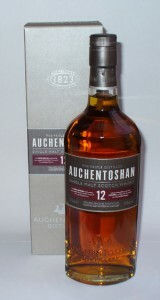 Enough about all of Auchentoshan’s fabulous products, lets do some tastings. Finish…Not too long but smooth and very warming. Nose…Sweet burnt brown sugar, showing some sherry notes, but a little sharp to the nostrils. 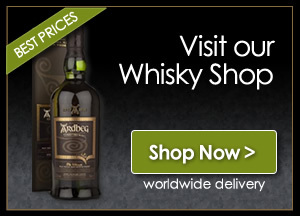 Taste…Very rounded, still sherry and sweet dried fruit, quite chewy a complex dram indeed. Finish…Medium finish could be a great aperitif, bonny bonny dram. Nose…A lot of sherry and treacle fruit cake. Taste…Salty spice prickle and dried fruit. Finish…Medium/long with sea spray and dark coffee. Nose…Quite sharp with much sherry and toffee. Taste…Salty with fruit sweetness pleasantly mild. Finish…Medium/long finish wood showing through and a little salt thrown in. Nose…Burnt toffee with a lot of sherry coming through. Taste…Dried figs, peppery spice, and sherry all showing their faces. Finish..Very warming with salt, beautiful finish. Nose…Coffee and caramel with butter cream finishing it off. Taste…Sharp but quite smooth and fruity with a little water added. Finish…What a good wee nip this is deep, long and quite fruity. Yes, we all agreed another champion dram from the house of Auchentoshan, this is without doubt becoming a regular on the Whisky Boys website. Loved their Festival last month and Jim and Nicola have still to write articles about their great day out at Auchentoshan. But you can check out an article on the Wife’s Woes section of this website. Long live Auchentoshan, Jim and Dougie’s Whisky collection would be much poorer if it did not include at least one expression of Auchetoshan.